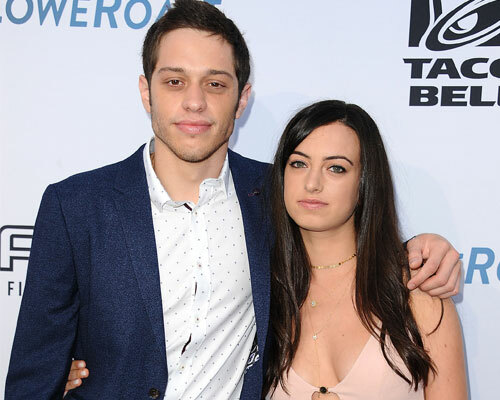 Saturday Night Live’s Pete Davidson is dating Larry David’s daughter, Cazzie, and it’s pure comedy couple magic. The two have been dating since 2015 and it’s a match made in comedy heaven. Davidson, who is a star on SNL and has his first stand-up special, SMD, airing on Comedy Central this month, is definitely a funny guy, so it makes sense that he is dating Seinfeld creator and Curb Your Enthusiasm star Larry David’s daughter. Together we could only imagine how many jokes are told and laughs come with their relationship. "I just love her very, very much," Davidson told People about his girlfriend in May 2016 at the Bowery Hotel in NYC. While Cazzie just graduated from Emerson College in May 2016 and has yet to put her stamp on the world, she does have a comedic genius as a father, so she totally understands her boyfriend’s industry. In fact, the duo has a bi-coastal relationship and is constantly showing their love for one another on Instagram. Mirror selfies are a definite must, especially on David’s birthday. They definitely have a sense of humor and hilarious couple style. Come on, they are punny! Cigars and more snuggling are what these two are all about while vacationing at tropical destinations. Boat time is another name for couple time for Pete and Cazzie. The 22-year-old celebs definitely clean up nicely and always support one another. It’s all about the love, all the time. Seriously, could these two get any cuter?